Locals describe Stephenville as the “cowboy capital of the world,” so check out a real-life rodeo at the Lone Star Arena or explore the range of historical memorabilia at the Dublin Rodeo Heritage Museum. Cheer on the Texan’s college football team at nearby Memorial Stadium or escape the game-day crowds by soaking up the rays at Splashville Water Park. Spend your nights hanging out with friends at restaurants like Hard Eight BBQ or Mi Familia for authentic Tex Mex, then head to City Limits to boot-scoot the night away. 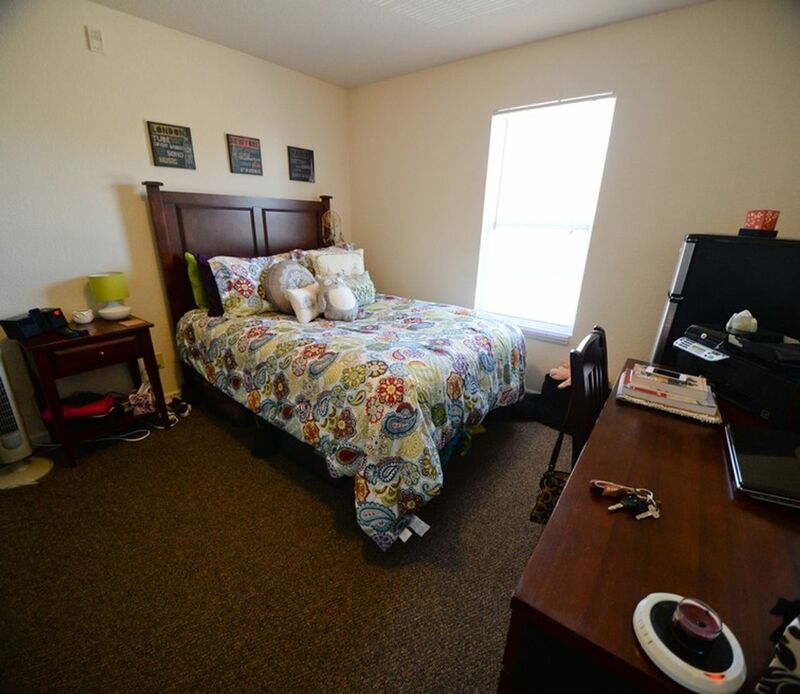 From The Grove at Stephenville, you’ll be a six-minute drive from Tarleton State University or take one of the regular shuttle buses to get to campus. After class, stop by the Barefoot Market and Walmart to pick up groceries then drive back through the security gate of your student housing and park in your reserved parking space. 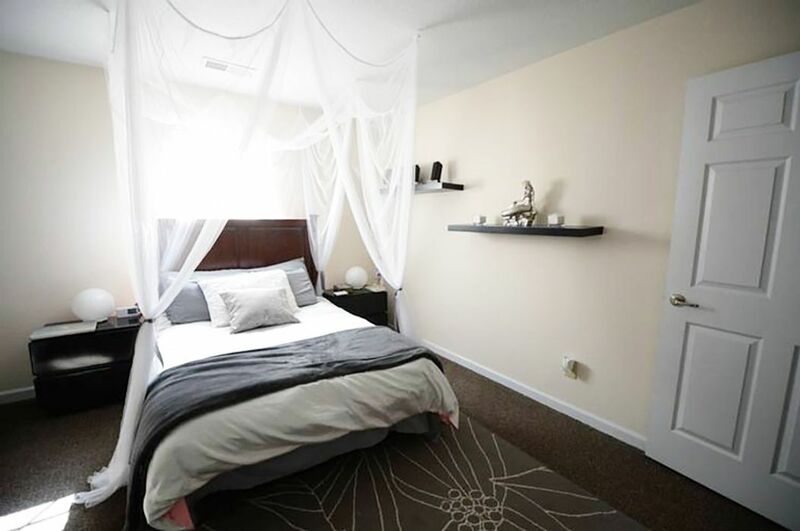 Whether you choose to share a two or three-bedroom apartment, you’ll find your new home comes fully furnished with all the mod cons. Cook up dinner on your stovetop and oven. Put the leftovers into the fridge and pack your dirty plates into the dishwasher. Throw a load of laundry into your washer dryer, then take a leisurely shower in your private ensuite. With a monthly flat rate that includes cable TV, high-speed internet and your utilities, you won’t have to worry about how much hot water you’re using. 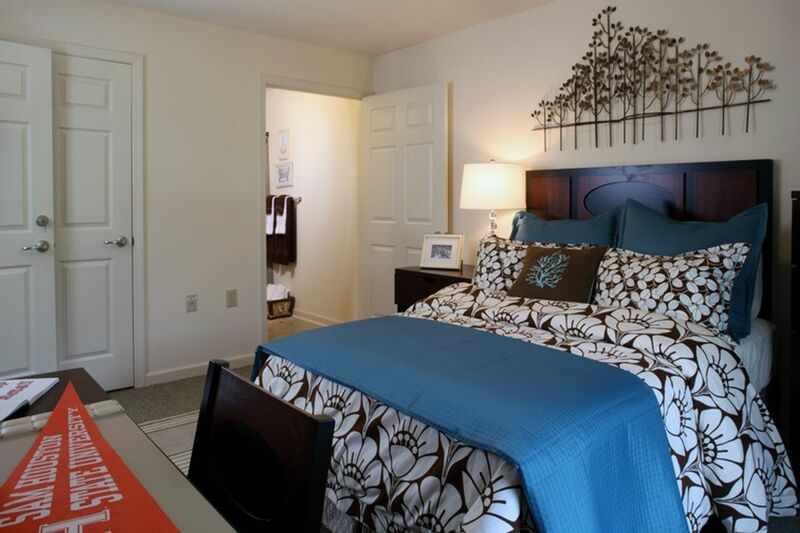 The Grove at Stephenville can set you up with roommates but you’ll also find it easy to make friends here. There are regular resident events and loads of recreational facilities to enjoy. Spend afternoons by the swimming pool or playing basketball. Workout with a training buddy at the fitness center. Invite friends over for a tasty barbecue, then head into the lively clubhouse to play foosball or pool. When your assignments are due, use the printing facilities in the computer centre and if anything goes wrong, you can call on one of the friendly Community Assistants who are available around the clock to assist you. Wir haben leider keine Unterkunft gefunden, die deinen Wünschen entspricht.Alle Privatzimmer in Grove at Stephenville ansehen.